We're big fans of Liesl Gibson's Oliver + S clothing patterns around here. Cute kids' clothes with interesting construction details that are practical and not too frou-frou–what's not to love? Three new patterns have been added to their line-up this spring, the Croquet Dress, the Secret Agent Trench Coat, and the Badminton Skort, Top + Dress, all rated as advanced beginner patterns. If you'd like to win one of them, together with three yards of the Spoonflower fabric of your choice in which to make it up, just leave your comment below or on the corresponding Facebook post. Please do let us know which pattern you'd like to win if you're selected, and don't forget to include your Spoonflower screen name or some other means of finding you in case you're our winner. Entries close next Tuesday, 5/15 at 7 pm EST, and we'll announce the winner on Wednesday, 5/16. Good luck, all! There was a ton of enthusiasm about last week's giveaway of a Crafterhours' curated I Spy quilting square sets–with good reason as each set is a giant pile of awesome designs!–but sadly we could only choose one winner. Congratulations to Peta Luck in Australia, and happy I Spy quilting! I’ve already made the Badminton Dress and loved the pattern! I want to make the Croquet dress next, thanks for the chance at winning the pattern! Very Cute. I would love to sew one of these (or all) for my granddaughters. I’ve never done an Oliver+S pattern, but the Secret Agent Trench Coat looks right up my alley! Love some Oliver + S. The combination of one of her patterns with some unique Spoonflower fabric would be amazing. If I win, I’d like to get the secret agent trench coat pattern. Looks to be the hardest to sew, but it’s too cute to be left behind. I’m Larrycette_com on Spoonflower. larry@larrycette.com. I would LOVE to make the Badminton set! 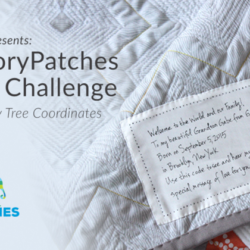 Oliver + S and Spoonflower together as a giveaway? Be still my heart! I would love the Badminton pattern! I would love the Secret Agent Trench Coat pattern! Love the little Croquet dress, just adorable! Those are such versatile patterns; I’d love to try the Badminton set for my two nieces! With Spoonflower fabric to boot? What a great giveaway, thank you! I love the Badminton Skort, Top + Dress pattern! As a child of the 70s I can appreciate a good skort. I love Oliver +S and have been coveting the Badminton Skort, Top + Dress. Thanks for the great giveaway! 4 girls and would love more to sew! I have a little guy that would look great in the trench. mail AT meganboesen DOT com. They look like wonderful Patterns! I definitely want to give the skort a try. 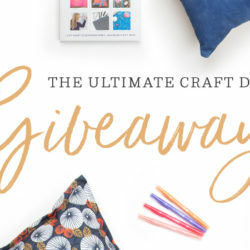 This is such a fun giveaway! I love the Badminton skort, top and dress, but it is a difficult decision. My niece would LOVE all these outfits. Love their patterns! I’m in need of a new project for summer. Wonderful giveaway! I would use some of Golly Bard’s designs for these patterns, so sweet! Lovely! I love to win the badminton pattern! Such beautiful patterns! I would definitely love the Secret Agent Trench Coat, as I find it’s really hard to find cute little boy sewing patterns…or anything for little boys in general. Since I’ve been searching for boy stuff, all I can find is adorable girlie things. 🙁 So yay for the Secret Agent Trench Coat! I absolutely love Oliver + S patterns. They are so stylish and cute! My daughter would look fabulous in one of the dresses! Awesome giveaway…. I would love to make the Secret Agent Trench Coat for my 3 year old Grandson. Especially with a cool y o fabric from Spoonflower! I love the Digital Puppet Show Tunic, Dress and Shorts pattern. Thanks for the chance to win! Would love to make the badminton dress! Love the Secret Agent Trench Coat! I have been a fan of Oliver + S forever! Such cute patterns! i love the badminton skort! I only wish Oliver + S patterns had been around when my children were young…….but at least my grandkids are reaping the benefits of the adorable looks! I’d love the make the skort!!! Thanks for the offer! My son would look so cute in the Secret Agent Coat! Would really love to win it! Would love to make the Croquet dress for my little girl! So cute…would love to make the croquet dress! Don’t know whether I’m having a boy or girl, so Trench Coat would be great- I love these patterns! Lovely! I would love the badminton dress for my two girls. Thanks. zoebrench. I would love to win the badminton skort – it would look so cute on my granddaughter! Sounds great! I’d choose the pajamas pattern. I just made their sailboat pants for my little guy and I’m hooked. I just finished the Ice Cream Dress today and would LOVE to try the Croquet Dress next! Spoonflower login is berrypatchcottage – gotta love Oliver + S patterns, so cute! I’d love to make the badminton dress for my daughter. I would love love love to sew up a Croquet Dress (or two or three!). Thanks for the chance!! My spoonflower ID is iheart13point1. Love Oliver and S and would dearly love to make the Croquet dress for my granddaughter. Thank you for the chance. I would like to make all three of these patterns, but I think my pick would be the Badminton outfit. My girls would LOVE this!! So hard to pick a fav, but I think I’d go with the Badminton Skort. I want the trench coat pattern….cause I can just imagine my 2 year old in a funky-fabric trench coat….she’ll be the hit of the pre-school! I’ve always loved making children’s clothing but ever since I found out I’m expecting I’ve gone off the deep end!! Oooo… what I can do with the patterns and a few yards of a fabric of my choice! Would love to win the badminton pattern! How adorable! (Although really, they’re ALL adorable.) Spoonflower screenname is katiad. Thanks for the giveaway! I love the badminton skirt ensemble. The scallop edge gives it the perfect touch! Joyloy39@hotmail dot com! Also known as 3girlday! I’d love to try the Badmiton Skort, top, and dress pattern! I’m aroseformo on Spoonflower. I would love to make a trench coat for each of my children, especially with some funky spoonflower fabric! Spoonflower fabric & Oliver+S pattern = BLISS! I would love to make the trench coat for my little boy. I just ordered thir book from amazon and ca’t wait for it to arrive. The badminton dress set is too cute… Fingers crossed! Oh WOW! Me please! I have just discovered Oliver +S and would absolutely love to make the secret agent trench coat. Oh, and the fabric, yes please! My Spoonflower account is Twice Giggle Thrice. Thanks so much for the chance! sweet patterns! I have a great nephew and 3 great nieces to sew for and my eye on many spoonflower fabrics. I think I would make the croquet dress. Lovely designs – they would both be fun and a challenge to make. Would love to sew the Croquet dress for a special someone! 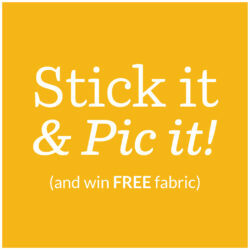 would love to win the badminton skort top + dress – and spoonflower fabric! Oliver+S patterns are just too cute! I have the Little Things to Sew book and I wish I had the time to make one (or three…) of each of the projects. I’d like the Badminton set, please. Thank you for the giveaway! I’d love the Badminton pattern! I would love to try my hand at the croquet dress for my little girl! With two boys, would love the trench coat pattern. I was just eyeing their popover sundress pattern for my toddler… I would love to make that one! Thanks! I’am your number 1 fan. I have spent hours looking at your patterns, and fabrics absorbing all the cuteness like a sponge! I love the style of everything even your graphics and cute old fashioned paper dolls are to die for. Anyway if I won I would be very excited and would love to make the coat. My youngest child is a boy and he would look so dashing and handsome in the fashionable trench. Thank you for all you do for the sewing community and for the inspiration you give me. Ooh I love the croquet dress. No spoonflower name but email is darktownstrutter at gmail. I have heard a lot about Oliver+S patterns but have yet to use one! I love the croquet dress pattern, very cute. I would love to win the Croquet Dress to make for my niece.